When Hugo Chávez triumphed in the 1998 presidential elections, the neoliberal capitalist model was already floundering. The choice then was none other than whether to re-establish the neoliberal capitalist model -- clearly with some changes including greater concern for social issues, but still motivated by the same logic of profit seeking -- or to go ahead and try to build another model. I believe that Chávez's chief legacy is having chosen the latter alternative. To name that alternative, he also chose to reclaim the word socialism, despite the negative baggage that the word had acquired, at the same time, however, clarifying that his was 21st-century socialism in order to distinguish it from Soviet socialism implemented during the 20th century, warning that we must not "fall into the errors of the past," into the "Stalinist deviation" that bureaucratized the party and ended up eliminating common people'sprotagonism, into state capitalism that put emphasis on state property rather than workers' own management of enterprises. 2 Hugo Chávez, Aló Presidente Teórico No1, 11 June 2009. Marta Harnecker, a Chilean Marxist, is among the most prominent analysts of the experience of social transformation in Latin America. She is the author of more than eighty books, all of which can be found online atwww.rebelion.org. Among her recent publications is Hugo Chávez Frías: un hombre, un pueblo (2002), published in English by Monthly Review Press as Understanding the Venezuelan Revolution: Hugo Chávez Talks with Marta Harnecker (2005). 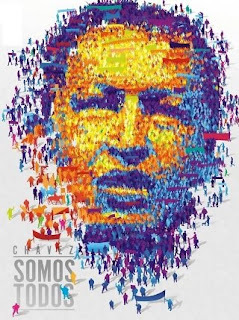 The original article "El principal legado de Chávez: Construir con la gente una sociedad alternativa al capitalismo" was published by La Segunda on 6 March 2013. Translation by Yoshie Furuhashi.